How Blockchain Technology Will Disrupt the Supply Chain? The life cycle of a product is an intriguing one. The next time you’re buying something in the supermarket, think of what all it went through to get in your hands. Think about where all the raw materials came from, who all transported the raw material to production plant where it was created, and how it eventually got packaged and ended up in the very shop where you are buying it right now. As you may have guessed, your product goes through a lot of processes and middlemen. This system of organizations, people, activities, information, and resources involved in moving a product or service from supplier to customer is called “supply chain”. If you’re interested in diving deeper into supply chain and other blockchain business use cases check out our Blockchain for Business accelerator. Natural Resources: Will you require a significant amount of natural resources like water for the creation of your product? If that’s the case, then you will need to make sure that someone is taking care of all these natural resources for you. Materials: The production or procurement of materials such as steel or an alloy. Ingredients and components: So, you have your raw materials and natural resources, now someone needs to create the bare necessities of your product. So, if you are building a smartphone, the ingredients and components of your phone will be the battery or the glass cover. Finished Goods: Now you are going to bring all these components together to create your finished products. So, going by our smartphone example, you are going to bring together all the components like battery, case, screen etc. to create your own smartphone. Retail and E-commerce: The product has been made, now it needs to be shipped to shops and listed on e-commerce websites. Customer: Finally, the customer gets their hand on your product either in the shop or online. Returns, Reuse, and Recycling: Now, a good quality supply chain shouldn’t just go one way. You should have the option where, if a customer is not happy with the product, they can give it back and get a refund. When you get the back the product, you can either reuse it or break it down for recycling. The reason why we haven’t included these above is that both of them occur at multiple levels throughout the supply chain. Before we understand this part, you need to understand the difference between an end customer/user and a customer in the context of the supply chain. The end user is the person for who you have built that product or service. In our example, this is the potential user of your smartphone. However, if you really think about it, throughout our supply chain we have several supplier-customer interactions. For example, the guys in our smartphone supply chain who will be selling their raw materials (suppliers) to the battery makers (customers). This kind of interactions will happen in multiple levels throughout the supply chain. Transportation and warehousing will help in the process of getting resources, materials, ingredients, parts, components and finished goods to the right place at the right time to keep the supply chain operating efficiently. So, that’s what our dummy supply chain looks like. An actual supply chain can be a lot more complicated than this with multiple levels of interactions. Something is needed to carefully plan out and oversee all the steps. This is where supply chain management comes in. The management of the flow of goods, services, and information involving the storage and movement of raw materials, building products as well as full-fledged finished goods from one point to another are known as “supply chain management”. So, why do we need supply chain management? Reduce the cost and complexity of the manufacturing process, especially when the process itself is extremely complex. Now, all this is well and good, however, as the manufacturing process becomes more complex, the supply chain invariably becomes extremely convoluted and inefficient. In fact, if you really think about it, the supply chain management system, as we know it, is broken. Remember the smartphone supply chain example we did earlier? Most of the ingredients and components come from Asian markets like China. As a consumer, you don’t really know the true value of the products that you are using. Plus, the lack of transparency in modern supply chains is another major issue. If you have a defective component in your phone, then it is near impossible to pinpoint exactly where that defective piece came from and who was the person(s) responsible for it. In fact, let’s give you an example of how truly dangerous this lack of transparency can be. On October 6, 2006, multiple states in the US suffered a major E-Coli outbreak. The culprit? Spinach — Around 199 people were affected of whom 22 were children under 5 years old. 31 of the 199 developed a type of kidney failure called hemolytic-uremic syndrome and 3 people died. As a result of this, the entire food industry went into pandemonium. People were desperately trying to trace the source of the infected spinach. Everyone stopped selling spinach immediately from the market. It took the Food and Drug Administration (FDA) a total of 2 weeks to find the source of the contaminated spinach. Can you guess as to what the source was? It was one supplier. One farm. One lot. That one farm locked up an entire industry for 2 weeks. For that period, farmers whose entire livelihood depended on spinach were left broke and penniless. All this would have been avoided if there was a better way to trace and track down the defective spinach lot. The problem with running a complex supply chain is that you will need to trust all the participants to do their job. You need to trust them to deliver quality while following standard safety standards. However, human beings are not really that trustworthy and are prone to corruption. NOTE: Before we go any further, let’s define “procurement” since we will be using it quite a bit. Procurement is the process of getting the goods and/or services your company needs to fulfill its business model. There are several instances of corruption that can seep into your traditional supply chains. Somewhere in your supply chain, someone insists on getting a product from a specific supplier, without looking at any other offers. When confronted, they insist that only that supplier can meet certain specifications, which may or may not be true. Suppose a company wants to extend its product line. The components that will be needed can be procured from a specific supplier however, the supplier himself is a shady character. Certain suppliers in your supply chain may get preferential treatment by some of your procurement officers because of a personal relationship. One of your procurement officers has a special deal going on with your suppliers. In exchange for a bribe, the supplier can compensate on the quality of their products. One of your suppliers is secretly delegating work to sub-suppliers who are not bound by the code of ethics that you have impressed upon your main suppliers. You simply have way too many components in your supply chain to keep track of them all. As such, suppliers can pretty much get away with anything. This is a big problem that traditional supply chain management systems have. They are not scalable. 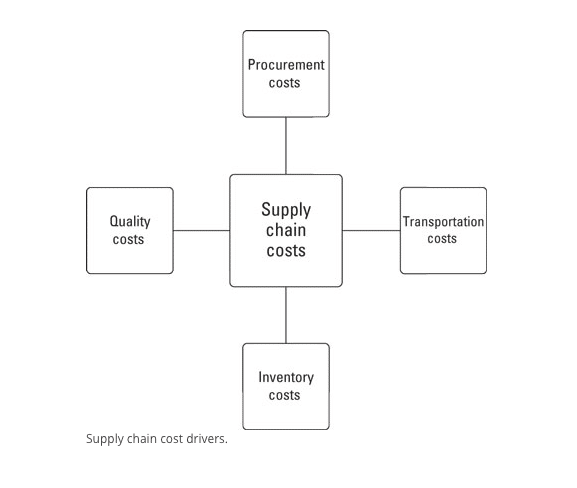 First and foremost, the most obvious cost that you will need to mitigate in your supply chain is the procurement costs i.e. paying for products throughout your supply chain. One thing to keep in mind here, if you have a large company, it won’t be possible for you to personally go to the supplier and buy all the components. This is why you will need to hire procurement officers to take care of this for you. So, if you really think about it, when you say “procurement costs”, not only does it include the price of the products, but it includes the salaries and bonuses of the procurement officers and the money that you need to spend on their training as well. When it comes to transportation costs, you will need to make a compromise between speed and expenses. Usually, high-speed transportation choices cost a lot of money. However, going for a financially cheap option can compromise majorly on time, which is almost as important if not more. Inventories are places where you are storing your products. Obviously, that is going to cost a lot of money as well. Now, here is where things become a little messy. Most companies end up borrowing money from banks to pay for the inventories. So, not only do they have to take care of the loan, they have to take care of the interest rates as well. Plus, having an unguarded inventory which is full of your stuff is impractical. Not only do you need to hire folks who can take care of and catalog your products but you will also need to get some security personnel as well. Despite all your best efforts, you will still have to account for shrinkage, i.e. your products could be lost, damaged, stolen, expired, become obsolete. You expect any product that you buy to meet a certain level of quality. After all, getting defective products will lead on to problems later on down the chain. However, in order to do these quality checks, you will need to hire properly trained experts. Plus, also keep in mind, that a big chunk of your products will be disposed of at once. Globalization is the process by which your company becomes big enough to have international influence or it starts operating on an international scale. As you can guess, globalization opens up several challenges to supply chain management. Many companies need to run their supply chain through multiple countries to procure different parts of their products. However, this brings in a lot of overcomplications. Keep in mind that your suppliers are in vastly different geographic locations which makes it really hard to co-ordinate and collaborate. In other words, it is really hard to know whether they are actually doing their jobs or not. Supply chains are absolutely critical for the overall well-being of your business. The current system of supply chains is outdated and requires a significant reboot. This is where the blockchain comes in. The idea of decentralization is at the very core of blockchain technology. 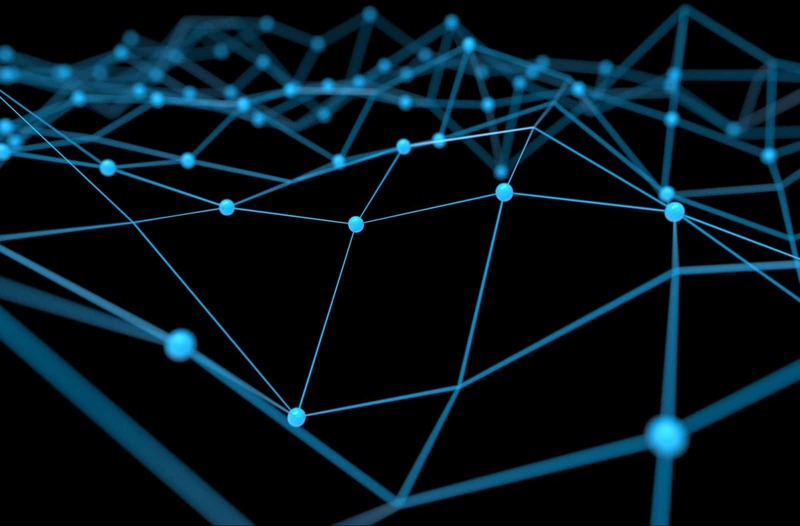 What it basically means is that any data that is stored inside the blockchain is not owned by one centralized entity but shared by everyone who is part of that blockchain’s network. The problem with the current supply chain industry is that all the suppliers and procurement officers inadvertently become their own silos of information. There is nothing that is going to tell us with 100% assurance that the information that these people are sending is 100% authentic or not. However, the blockchain breaks down this very concept of silos. When all these different entities, all over the world are connected by this chain, there is no longer any question of data isolation. All the data that would have stored in them is not being shared by everyone on the blockchain. Ok, so you might be wondering, even if they don’t own the data, what is stopping them from tampering with it? Well, for that, let’s look into our next property. Immutability basically means non-tamperable. Any data that you put inside the blockchain cannot be tampered with. Can you imagine how valuable this will be for supply chain management? It is impossible for anyone to tamper the financial records and to justify extra payments once they have entered the data inside the blockchain. The reason why the blockchain gets this property is that of cryptographic hash functions. Do you see that? Even though you just changed the case of the first alphabet of the input, look at how much that has affected the output hash. So, anytime someone tries to change the data inside the blockchain, it becomes instantly evident that a tampering-attempt has been made. Plus, all the blocks are also linked to each other via hash functions. Each block in the blockchain has the hash of the previous block. As such, if tampering does occur, it changes the entire structure of the chain, which is an impossibility. Now, let’s go on to the third property. One of the most interesting and misunderstood concepts in the blockchain technology is “transparency.” Some people say that blockchain gives you privacy while some say that it is transparent. Why do you think that happens? Now, use this in the context of supply chain management. So, from what we have known so far, the blockchain technology has properties of decentralization, transparency, and immutability. As such, it is the perfect tool to use for the disruption of the supply chain management industry. Recording the quantity of the products and its transfer through different parties. It can link various physical items to serial numbers, barcodes, and tags like RFID etc. Helps in the sharing all the information about the manufacturing process, assembly, delivery, and maintenance of products with the different parties in the supply chain. Blockchain’s transparency helps in the careful documentation of a product’s journey from its point of origin to all its suppliers. This increases the trust among the various parties in the supply chain because all the data is visible for everyone to see. The blockchain network can take in any and all participants of the supply chain network. Plus, regardless of their geographical location, everybody will be able to connect with the blockchain. Blockchain’s immutability will make sure that all the records in the chain are honest and free from corruption. Plus, the strong security from its innate cryptography will eliminate unnecessary audits, saving copious amounts of time and money. The utilization of blockchain also opens up the doors to future innovation. Remember how we said that the E-Coli virus brought the spinach industry to a standstill? Well, turns out that the food industry is actually using the blockchain to build better supply chains to prevent that fiasco from ever happening again! Many big companies like Walmart are teaming up with IBM to incorporate their “Food Trust System” blockchain in their supply management system. Walmart has already done two test runs with IBM, one with Chinese pork and the other with Mexican mangoes. Walmart and IBM used the “Hyperledger Fabric”, a blockchain originally built by IBM and now housed under the Linux Foundation’s Hyperledger group for these tests. Ensures fresher food since no one will risk sending “non-fresh” food in an open system. There is less food waste because every single piece of food is accounted for. Stops food fraud because the system is open for everyone to see. Promotes responsibility among the food producers since they now know that they can’t get away with underhand dealings. Gives the customer trust-able information about their food and empowers them to make better buying choices. 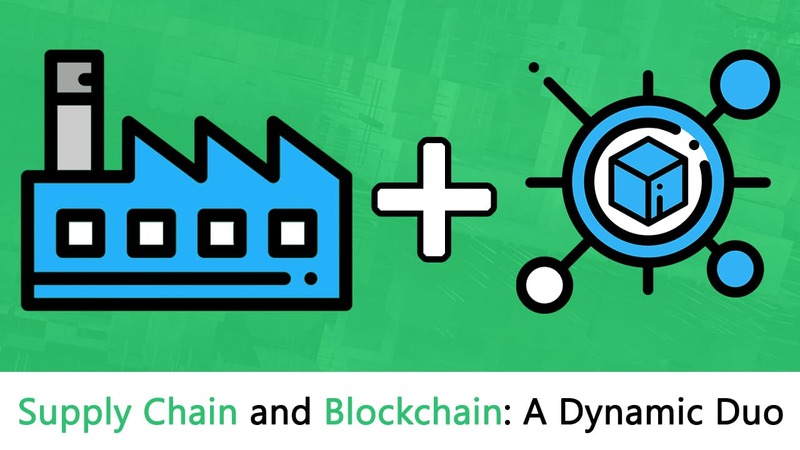 It seems like the blockchain technology and supply chain management systems were built for each other. In fact, all the flaws of the current supply chains can be easily mitigated by using the blockchain technology. We believe that this is one of the foremost industries that the blockchain can disrupt and change for the better. Hopefully, blockchain-based supply chain management systems can be the norm in the future.